Children, especially when they are very young, need a lot of sleep and rest in order to recuperate after a busy day. However, it is common for parents to get carried away and not pay attention to a proper bedtime routine. In the long run, this can lead to poor sleeping habits and eventually you will realize that you have no time for yourself since you spend it all trying to get your child to sleep. Here are 6 ways you should consider in order to develop a bedtime routine for your child. 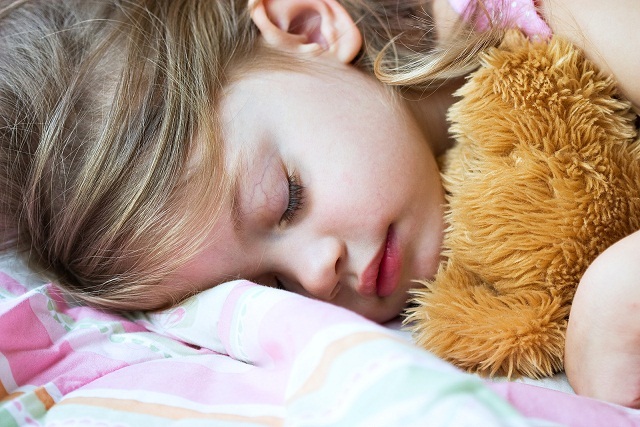 It is important that your child expends energy during the day so that he/she feels the need to sleep on time. Children don’t usually have a keen sense of time and their body clock doesn’t work like adults. They can stay up very late if they are not tired by bedtime. You can plan up a few activities every day or let your child ride his tri-cycle in the garage to keep him active and ready to go to bed in the evening. In order to inculcate a routine, you need to stick to it consistently. If for instance you want your child in bed by 7, you need to start reminding him/her around 6:30 that only 30 minutes are remaining and he/she should start winding up his/her games or toys. This will also help your child understand the importance of time and discipline. All humans learn a lot of things by conditioning, which means association of an action with a stimulus or event. You can prepare a glass of warm milk everyday around 6:45 and get your child to drink it in bed. Not only will the warm milk help him/her sleep, it will also serve as a conditioning tool after a few days. Consequently, getting his/her glass of milk at a certain time will automatically trigger the ‘its sleeping time’ feeling in your child. Alternatively, you can decide to read a book or play some music during bed time to get the same result. It is common for children to want you to stay in bed with them and talk or play just a little longer. It might sound harsh, but if you are to actually develop a routine, you will need to stick to the rules no matter how you feel about it. You need to make your child realize that bed time and proper sleeping habits are serious business and it is not something that can be compromised. You can comment below if you have any other issues or queries regarding your child’s sleeping habits. Remember, if you notice any difficulties with sleeping or any other conditions you should contact your pediatrician just to be safe.